1. 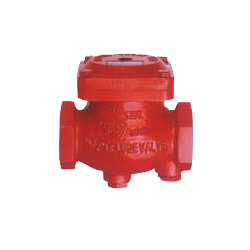 The valve is used in wet pipe sprinkler which is made in accordance with UL260. 2. Dry pipe and deluge valve for fire-protection service. 1. AVD 501C 2 flanged horizontal pattern. 2. AVD 5001D2 thread horizontal pattern. 3. Material cast iron ASTM A48 class NO35. 4. Rated pressure 175psi test pressure 350psi. 5. Marking UL LISTED 2S57 2 deluge valve.